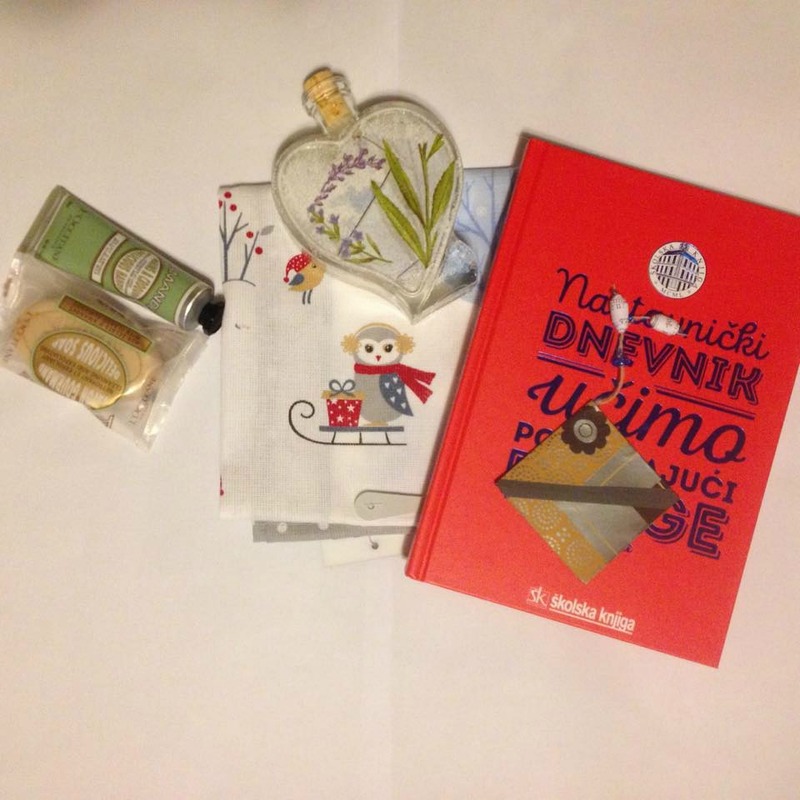 From my God mother I got a teacher’s planner, another a very thoughtful gift, since I am starting as an English teacher in January 🙂 Then a cute little package from L’Occitane containing a hand cream and cleansing and exfoliating soap containing almond milk. Then some bathing salt, a book marker and a kitchen towel (and a very Christmasy one). 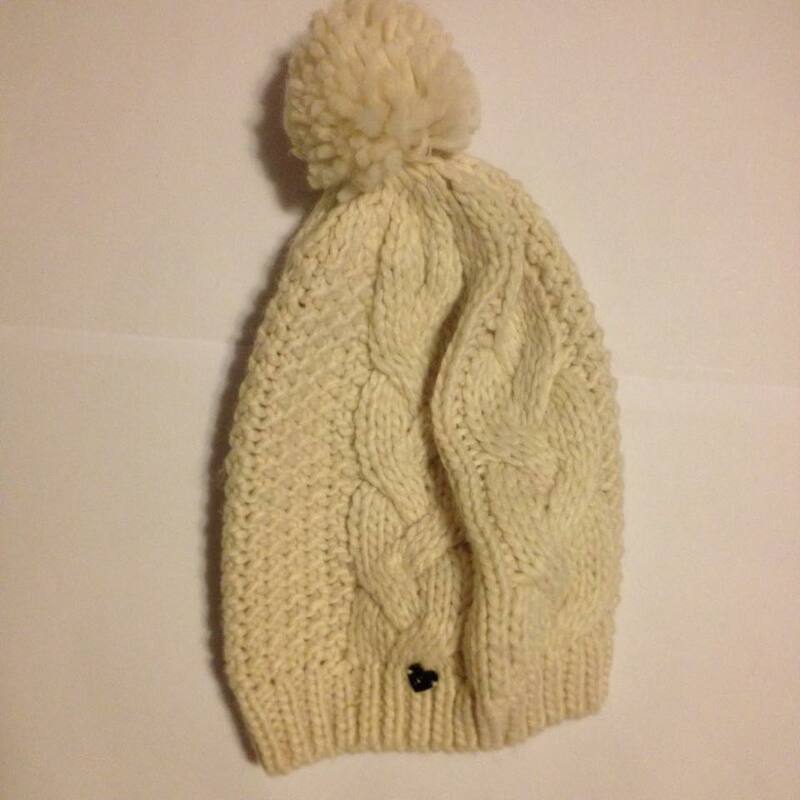 From a friend I got a really cute hat. 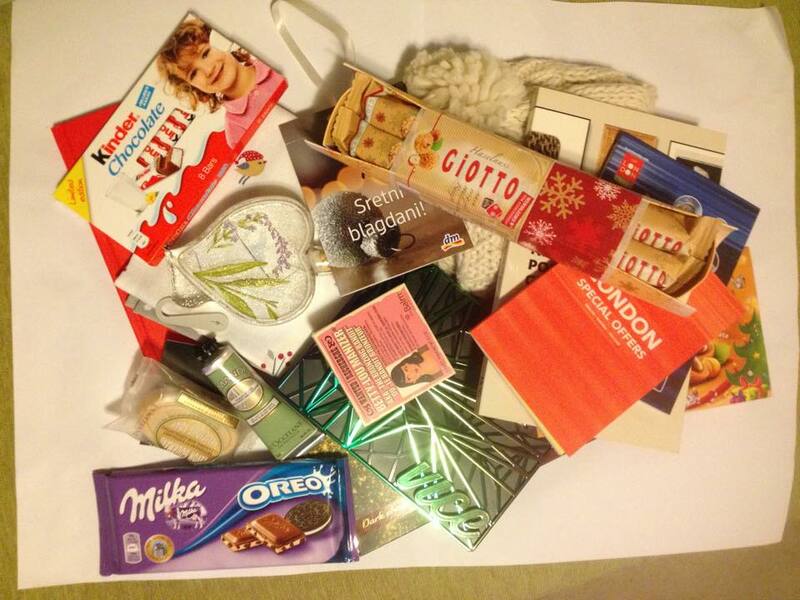 From my boyfriend’s mom I got a gift card for one of our drugstores, but I didn’t take a picture of it. 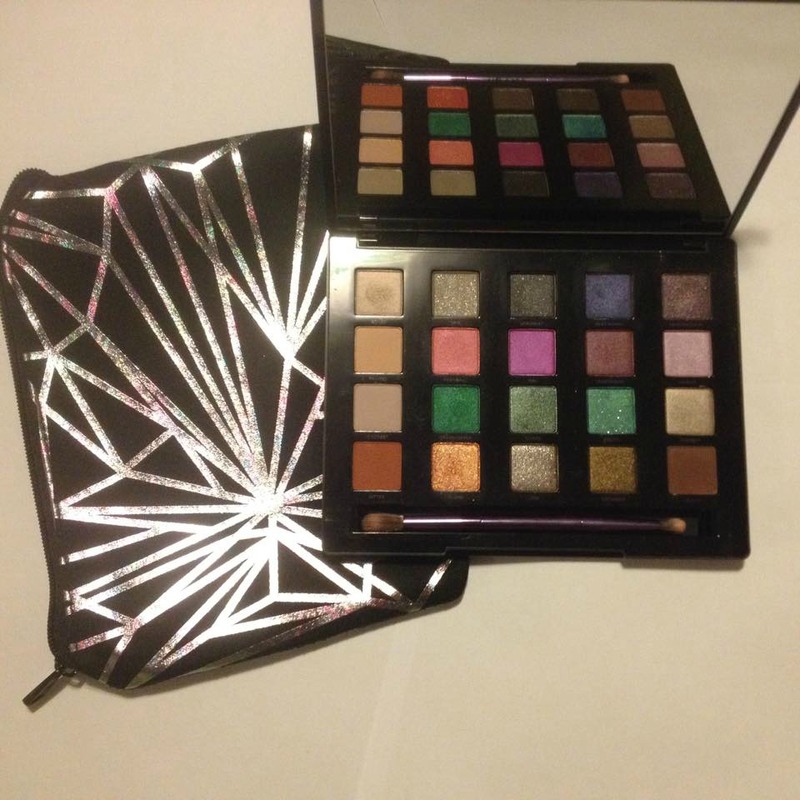 From my mom I got a Vice 4 palette by Urban Decay (of course I had to try it right away, and it’s amazing) and a pair of really fuzzy socks that I’ve been wearing constantly 😀 If you want this palette, you can find it Here and get a free shipping. 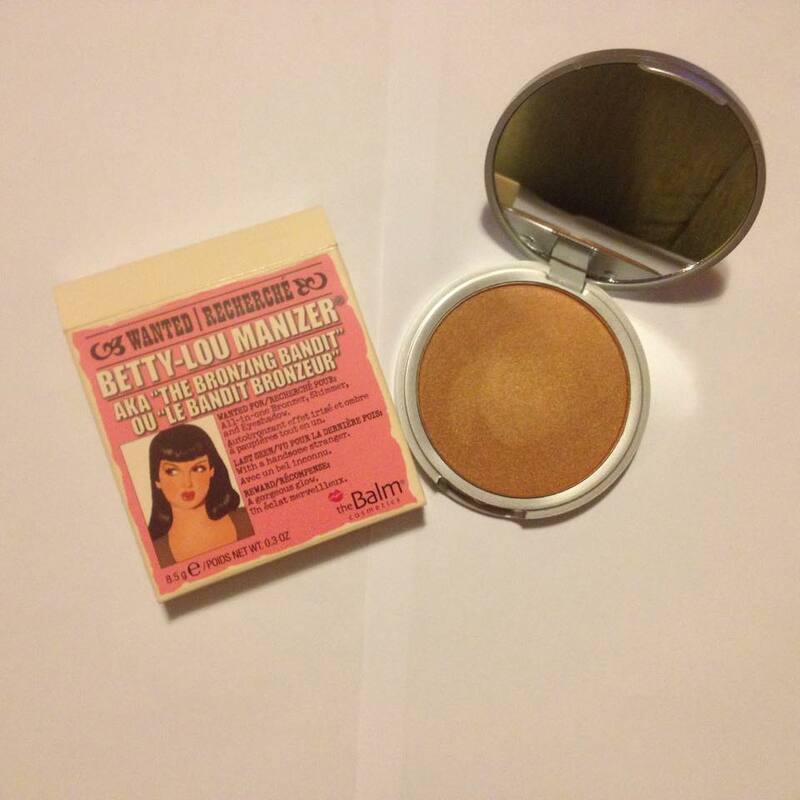 From my boyfriend I got Betty-Lou Manizer by The Balm and I was soooo excited. Even though he did tease me by packing it into the chocolate packaging, and putting chocolate in the box it came in. He said he had to get back at me for the book I gave him 2 years ago (if you don’t know what I’m talking about, click here). It was quite funny seeing me dig through all the styrofoam balls and looking for my present and finding only candy 😀 If you want it, you can find it Here and get a free shipping.